There’s nothing better than planning a holiday; many do it each week – in fact, New South Wales saw almost 25 million domestic overnight visitors in the 12 months to September 2012, and Australians took almost 75 million trips within Australia during that period, spending $50.4 billion. You pour over travel brochures for weeks, picking the best holiday spots and attractions that best suit you and your family. You budget for flights and car rental, theme park tickets and dinners and finally the day arrives: you prepare to board your train to the airport and discover that a tree has fallen on the lines, cancelling all trains for the foreseeable future. The wait for a taxi is almost 40 minutes and you see your plane disappearing into the sunset, sans you and your travelling companions. Perhaps you board your plane and arrive safely at your destination on the other side of the country, where you find out that the company you’d hired your car from went broke the week before. Or, heaven forbid, something drastic happens and you or someone else is injured – possibly it was even your fault. There is a solution, but it needs to be worked into your plans at the very beginning. 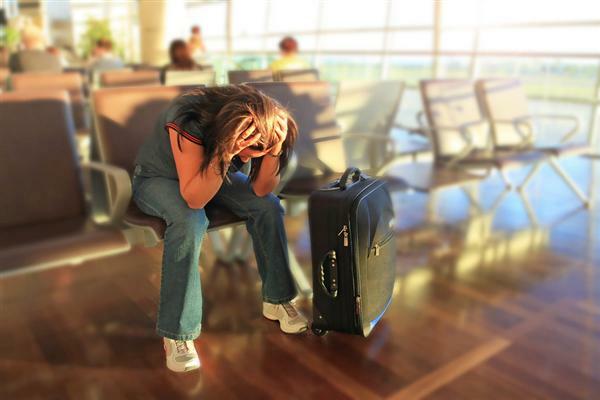 Travel insurance is not just for those travelling internationally. Even when tripping around Australia, for work or pleasure, it’s a wise decision to invest in travel insurance to cover you should the unexpected occur. Domestic travel insurance will provide you the means of paying for unforeseen expenses such as accommodation or hospital fees, but only if you remember to take it out and ensure that your policy includes those kinds of things. Benefits may be payable for expenses sustained such as additional accommodation and transport costs arising as a result of sickness, natural disasters, strikes and protests, and missing travel documentation. For example if you arrive at the airport and the luggage handlers are on strike, preventing the plane from loading and taking off, then you may be covered for accommodation so you can make alternative arrangements. If you or a member of your party falls ill, then costs may be covered for another form of transport (a coach instead of a plane). If sickness, an accident or adverse climate affects your travel plans and you need to rearrange or cancel part or all of your trip, you may be reimbursed from your travel insurance. Some insurers may also cover you for unexpected misfortunes such as retrenchment or death. Insurance doesn’t only cover plans, it can also cover belongings. Should your luggage or personal items become lost or damaged, the cost of replacing or repairing items will be refunded. This could include cameras, glasses, computers or jewellery. If for some reason you can’t return your rental vehicle (illness, hospitalisation etc) or it is stolen or damaged during your rental term, insurance could cover the excess you would normally have to pay. And if a claim is made against you by someone that is injured or incurred property damage, you may also be covered for legal liability. Some insurance companies also include niceties such as 24/7 phone help. Ask what they offer by way of assistance while you’re travelling. It pays to research the insurer you plan to engage and thoroughly investigate the cover they offer. If they cover for eventualities that might never occur, then see if you can save yourself some money and opt out of that part of the policy. Read up on their benefit limits –$3000 might not cover a protracted hospital stay, but it could easily buy another laptop. Purchasing travel insurance should be an integral part of your trip planning as booking a hotel or flight. It doesn’t pay to skip it.